This is our invitation to Rise, my sister. Your invitation and mine. If you’d ask me what I am passionate about, I’d probably say this: seeing a person transformed by the power of LOVE, finding her voice, standing in her story, becoming strong and then pouring out her life in service of making this world more beautiful, right and just. I guess it’s how my own story has evolved. It’s been an adventure with Jesus and many days it’s hard, but also, o, so good. I love seeing people wake up and rise up and joining God in the work God is already doing on our earth. I’m so grateful I no longer have to live a small life. Sometimes I stretch out my arms and feel freedom pulse through me. I wasn’t always able to do that. I used to feel so small. My tongue used to be tied. My legs felt heavy. My heart was so broken. I was so scattered to the wind. Then a circle of women who walked in freedom invited me in. I met Jesus in a fresh way. I met a Jesus who loved and empowered women. 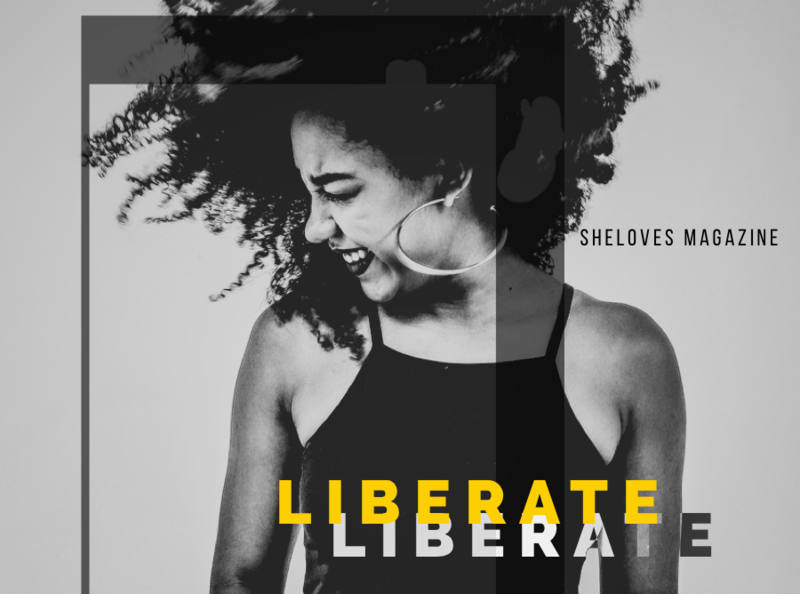 I met a Jesus who loved and nurtured freedom in me. My freedom has come through books, but also through tearful prayers in the quiet. It has come in private, at the feet of Jesus. My freedom has also come in community and in conversation around tables with friends. In 2010, I intentionally began to place myself in a community of people with Amahoro Africa. (Amahoro is a greeting in Burundi meaning “Peace.”) At Amahoro, I began to witness a way of doing life and gathering in conversation that felt real, connected and right. At Amahoro, we gathered for five days. We gathered to worship together, eat together, learn together and even dance together. We gathered in conversation and we gathered in friendship. Our conversations did not shy away from the hard issues. These Amahoro gatherings helped shape the woman I am today. I treasure the friendships forged over the many days on the edges of Lake Tanganyika in Burundi and the shores of the Indian Ocean in Mombasa, Kenya. Now, seven years later, many of these friends have sat in my living room and I have sat in theirs. Our friendship is rooted in our shared faith. We have built trust, by laughing together, crying together and being honest with each other in some of the hardest conversations around race and justice. Freedom now has skin on. I have longed to bring a similar conversation to our SheLoves community. I have longed to share conversation, Amahoro-style, over a few days, over meals and in communion. I have longed to tackle some hard conversations together. Kelley Nikondeha and I have been dreaming about this for several years. Kelley was one of the founders of Amahoro Africa and is now one of my soul sisters. I will never forget the day in May 2010 when we sat on the floor in the back of the room after a session at Amahoro. The lights were fluorescent, but the conversation was warm and strong and honest. We found each other there and my life has not been the same. 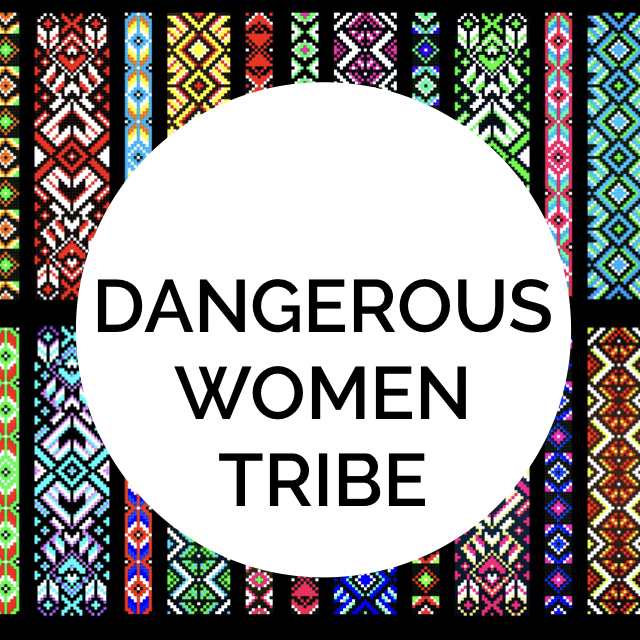 We’ve become Dangerous Women together. About two years ago, I asked Shaley Hoogendoorn if she would come alongside SheLoves and help us launch some local events. Together with Rose Woller and Courtney DeBoer, Chervelle Richards and Holly Bovet, we created Dare to Be Dangerous, then Paused & Present and even a pop-up conversation! We’re hosting another Paused & Present gathering in November, but where my legs are shaking and my knees are weak, is that we have put our hand up for a weekend-long gathering. This feels BIG. There are details and dollars, bedding and communion to consider. When the idea didn’t go away, Rose Woller finally became determined to put a date on the calendar. We put a deposit down and committed to make this gathering happen. But who did we want to learn from and learn with? I kept thinking about Lynne Hybels. But it seemed so … audacious. Then, one day I just knew this was my Rise Up, Sister moment too. If we are asking our women to rise up, I have to be willing to do the same. I emailed Lynne and in the subject line I wrote: “Audacious Ask.” I told her about our heart and our intention to host a conversation. I told her how we longed to mobilize and empower our women to be Dangerous Women. And she said, YES. It was one of those days in which you could hear the hallelujahs all the way from Vancouver to Chicago. My heart also longed for an indigenous sister to join us and lead us in conversation. I got to meet Kallie Wood through Gather Women and it felt like God united our hearts almost immediately. Over a late night bowl of pasta in downtown Toronto, I mentioned our dream to her and she said, Call me. So I did and now Kallie, too, will join us. 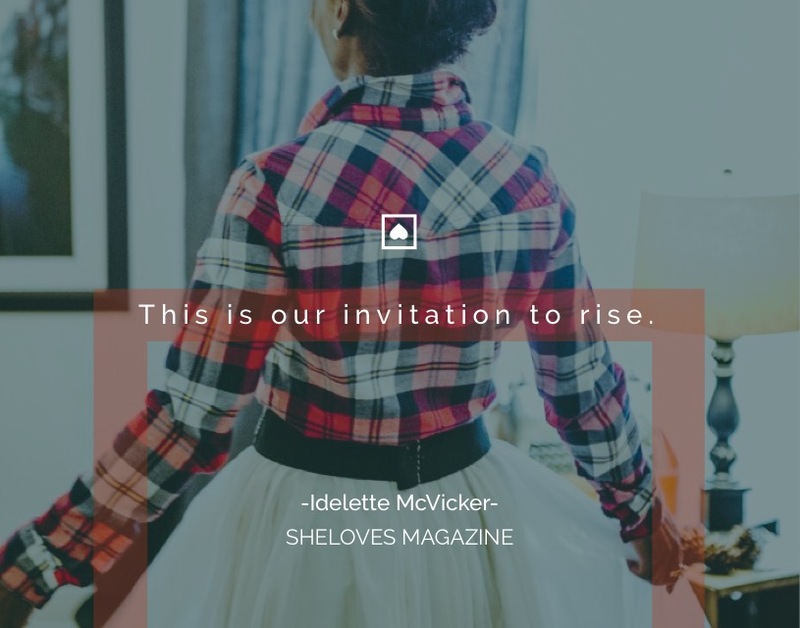 My dear SheLovelys, next year, on the weekend of Feb 23-26, we will be hosting our first ever SheLoves weekend-long conversation called Rise Up, Sister. Lynne Hybels will be joining us. Kallie Wood will be joining us. Kelley Nikondeha is coming. Sarah Bessey will be there. Tina Francis will be there. Many of our SheLoves editors will be there. We are limiting the registration to around 120 women, because we want it to be a conversation. We want women who are ready to Rise Up. Women who are hungry for conversation. Women who are hungry for Jesus and justice and living juicy. Women who are hungry to make our world beautiful and talk about justice and peacemaking and not shy away from the hard stories. If your heart is pounding, you need no other qualification. If your heart is ready, come, join us. Our registration is now open. Come, Rise Up with us. Top Image by Tina Francis.